Before today I had never seen the above alternate and unused version of Fantastic Four #52. Very nice! 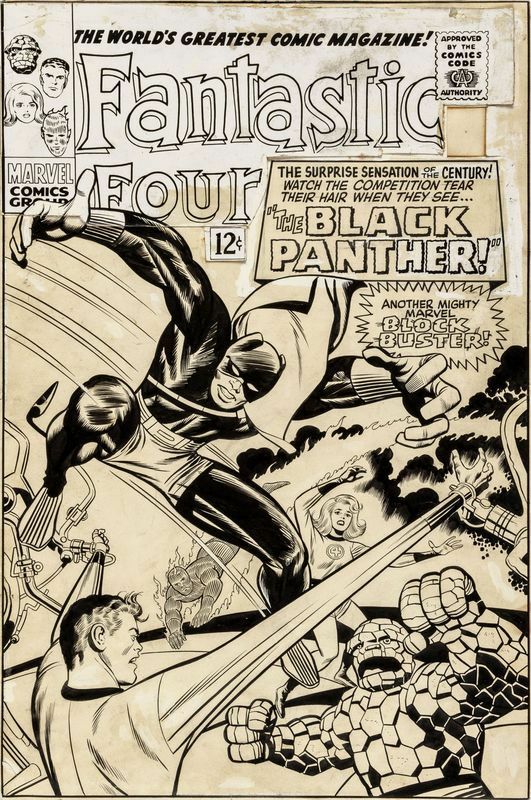 I wonder how many alternate covers like this were drawn by Jack Kirby that I have yet to see. Many, many, I hope. If you'd like to bid on the above specimen, details can be found over here. I have been a fan of Jaime Hernandez's art for thirty-some years now (and you can see some another item I've written about him and his work over here). 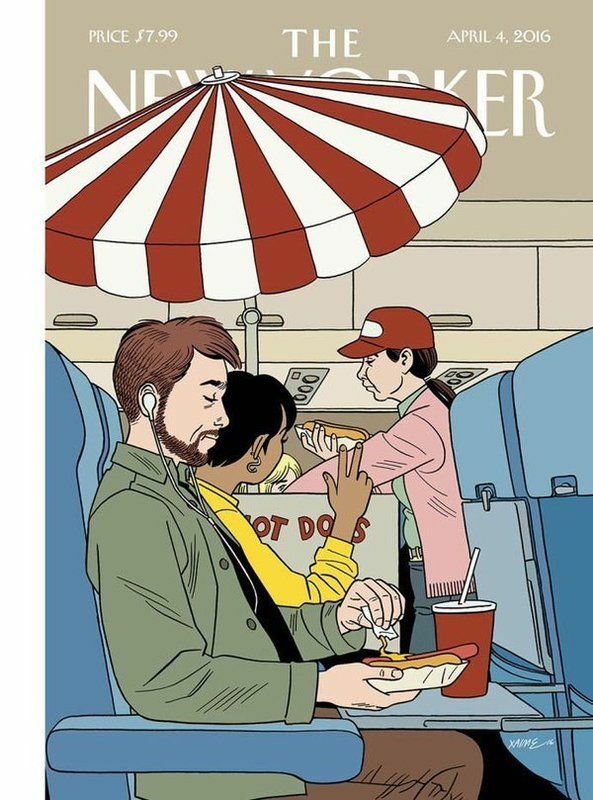 The new issue of The New Yorker came in the mail the other day and it was great to see that the cover was by this very gentleman! He has drawn some interior spot illustrations for earlier issues but I am just about certain that this marks Jaime's first appearance on the cover. Congrats! The love came first but now here's the vinegar. What exactly is supposed to be going on in the above very nicely drawn image? A hot dog vending cart is rolling down the aisle in an airplane? Why? Or is it a commentary on mustard? Or maybe it's merely a fun exercise in surrealism like Luis Bunuel's Mexican Bus Ride in which a jungle sprouts inside a bus filled with commuters? I don't understand it but congrats nonetheless!